Design and manufacture components in metal and composites. 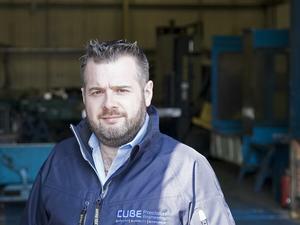 Cube Precision Engineering are a metal and composite manufacturer that provide bespoke items to a variety of industries. Specialising in large items up to 5m and 35T in a variety of materials they have a full range of Hurco milling machines, including the world's only DCX42i, and mechanical presses up to 1,000T. They specialise in digital fabrication, packaging, model making, mouldmaking and casting and surface finishing. They have worked on a number of creative projects designing and manufacturing components for public artworks and working with furniture designers to produce one off pieces. Established in 2009, the company now employs fifty staff at its main site and has two subsidiaries. Specialising in the machining and manufacture of bespoke items for a variety of industries. The company works twenty four hours a day five days a week to meet customer deliveries. As members of EEF, Midlands Aerospace Alliance and Made In The Midlands, the company and Directors are passionate about manufacturing in the UK and particularly the West Midlands.